New !! Map Pocket Gauge Adapters are here !!! Topic: New !! Map Pocket Gauge Adapters are here !!! 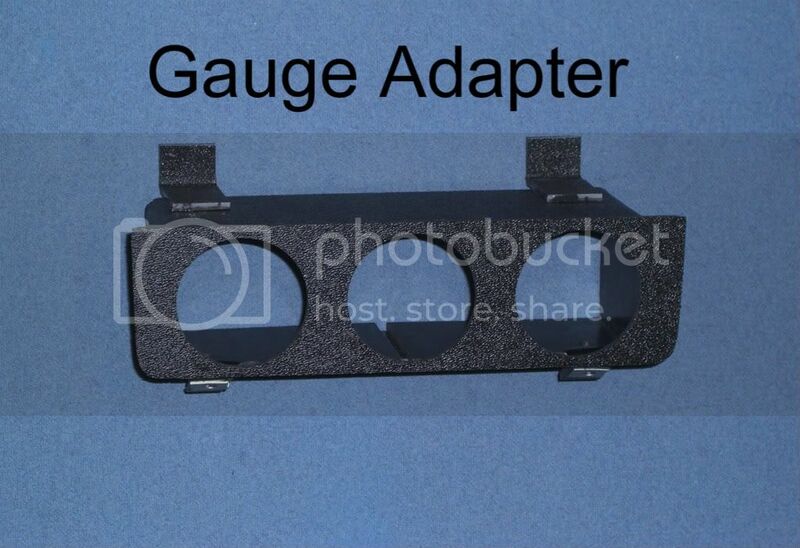 This adaptor allows you to easily install three, 2 1/16" Gauges in the map pocket location of your 70-80 Firebird, Trans Am, Esprit, Formula, Lady Bird etc. Just as with the map pocket Stereo Adapters I sell, absolutely no cutting, drilling or hacking of your dash or console is required. Simply remove the factory map pocket insert, install this adaptor in place of the map pocket using the mounting screws from the map pocket and install your new gauges into the adapter. Installing the adaptor takes less than an hour. Installation is actually very simple but installation instructions are included. I don't believe there is room to install a gauge adapter in the map pocket location on 81 Turbo TA's due to the electronics for the turbo being installed in the map pocket area. However, I've been told that you can relocate the computer box in order to install a gauges in the map pocket area using this adapter. Please check your car to confirm this. Gauge adapters are $46.95 with FREE shipping inside the continental US. Email w70442@hotmail.com for shipping quote to other addresses. Gauges and console are shown for illustration only and are not included. Re: New !! Map Pocket Gauge Adapters are here !!! Christmas is just around the corner. This would be a great present for your wife, girlfriend or boyfriend to give you OR for you to give your car! Map pocket stereo adapters are also available. email w70442@hotmail.com for more info. 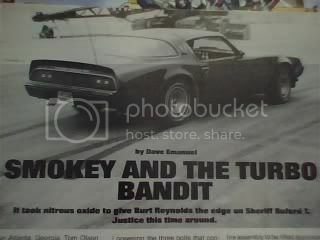 THE 1 AND ONLY SELLER OF ACCURATE & AFFORDABLE BANDIT II DECALS! Thank you for the compliments. I am pretty flexible and will try and accomodate special requests when I can. do uoy make them to match the aluminum dash? Currently, the only finsih I offer them in is the textured black ABS but, as I said above, I'm flexible so I'd be happy to try and figure something out with you. They make a decal that has an engine turn look. I could build an adapter and put the face on backward, with the smooth/flat side facing outward and you or I could apply the engine turn applique to it. I've actually looked into doing this and even ordered samples of the engine turn applique and to be honest, it is not very close to the original pattern. That's part of the reason I don't offer it. They offer two pattern sizes. One is too big and the other is too small. And neither of them overlap the circles as much as the original TA engine turn does. Here's a couple links to auctions for the vinyl.